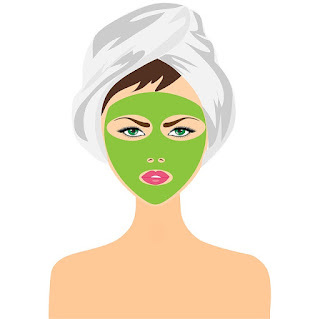 This is another blog post of masks for dry skin in winters. I usually make them in winters only as I have combination oily skin. If you have dry skin you can use them all around the year. It's better to use homemade recipes for skin than dabbing a lot of chemicals on your skin. Roast almonds a bit around 4-5 depending upon the area you want to apply. For hands and feet more almonds will be needed. Grind the almonds in mixie by gradually adding water to make a little runny consistency. After it a smooth paste is made take in a bowl and add sandalwood powder. Make sure no lumps are formed. Add little rose water for cooling effect. Apply all over face and let it dry. Don't dry it completely. Remove after it is semi dry. Take a ripe banana and mash it. Make fine paste sort and add 1 tbsp cocoa powder to it. Apply wherever you feel your skin is dry. Rinse off with lukewarm water after 15 mins. Tell me your trick for dry skin in winters.